This was my first time to visit Wheeling, and I wanted to do a little bit of exploring! 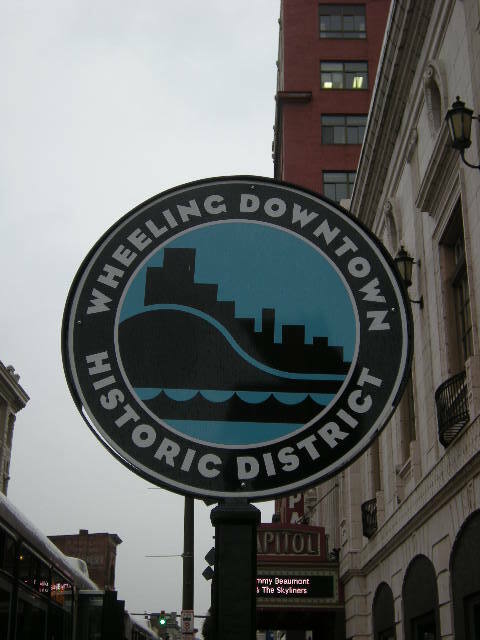 Wheeling is located on the Ohio River in the Northern Panhandle of West Virginia, where the state is only 16 miles wide! It’s a federally designated National Heritage area, and also where Route 40 is located. Route 40 is an historic road which was declared an All American road by the Federal Highway Administration. Wheeling is also the home to West Virginia Independence Hall, the birthplace of West Virginia during the Civil War. It was a little bit scary driving over this bridge. I think I could actually feel it sway a little bit! 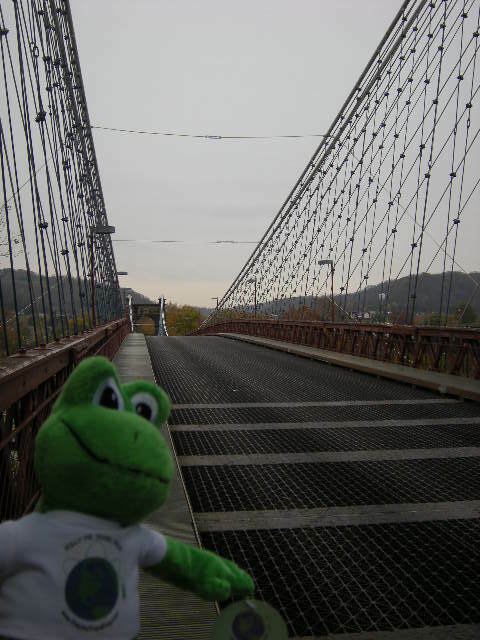 The Wheeling Suspension Bridge goes across the Ohio River in Wheeling, West Virginia. It was the world’s largest suspension bride from 1849 until 1851, and was an important link on the National Road. It was designated a National Historic Landmark in 1975, and is 1,010 feet from tower to tower, which is the main span. The National Road or Cumberland Road was one of the first major improved highways in the United States to be built by the federal government. Construction began in 1811 at Cumberland, Maryland, on the Potomac River. 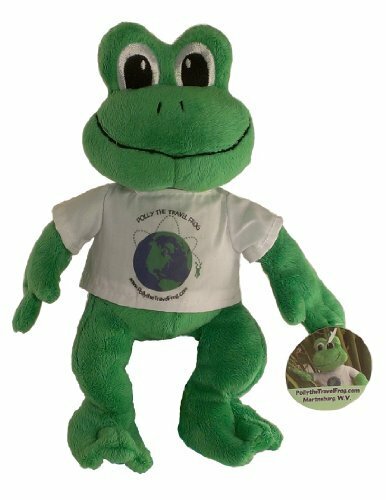 It crossed the Allegheny Mountains and southwestern Pennsylvania, reaching Wheeling, Virginia (now West Virginia) on the Ohio River in 1818. Plans were made to continue through St. Louis, Missouri, on the Mississippi River to Jefferson City, Missouri, but funding ran out and construction stopped at Vandalia, Illinois in 1839. A chain of turnpikes connecting Baltimore, Maryland, to the National Road at Cumberland was completed in 1824, forming what is referred to as an eastern extension of the National Road. 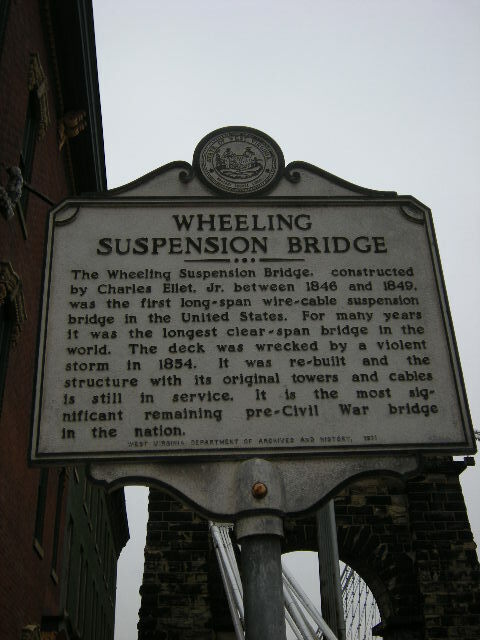 In 1835 the road east of Wheeling was turned over to the states for operation as a turnpike. It came to be known as the National Pike, a name also applied to the Baltimore extension. The modern U.S. Route 40 between Baltimore and Cumberland continues to use the name Baltimore National Pike today, and a spur into the Washington, D.C. area (part of Interstate 270) is known as the Washington National Pike. The approximately 620-mile (1000 km) road provided a connection between the Potomac and Ohio Rivers and a gateway to the West for thousands of settlers. It was the first road in the U.S. to use the new macadam road surfacing. Today the alignment is mostly followed by U.S. Highway 40. The full road, including extensions east to Baltimore and west to St. Louis, was designated “The Historic National Road”, an All-American Road, by U.S. Secretary of Transportation Norman Y. Mineta in 2002. The Oglebay Winter Festival of Lights was started in 1985, and has become the nation’s largest holiday light show. Over a million visitors come to see the lights every year, and the event is listed in the American Bus Association’s Top 100 International Events. There are over more than 70 displays, and over one million lights that cover over 300 acres on a six mile drive at the Oglebay Resort. There is also a life size Nativity scene and the Wilson Lodge and mansion Museum are also decorated for the event. There’s no admission charge to view the lights, but donations are accepted. The lights can either be viewed by driving through in your car, on a tour bus, or trolley tours that begin at Wilson Lodge on a first come, first serve basis for a fee. 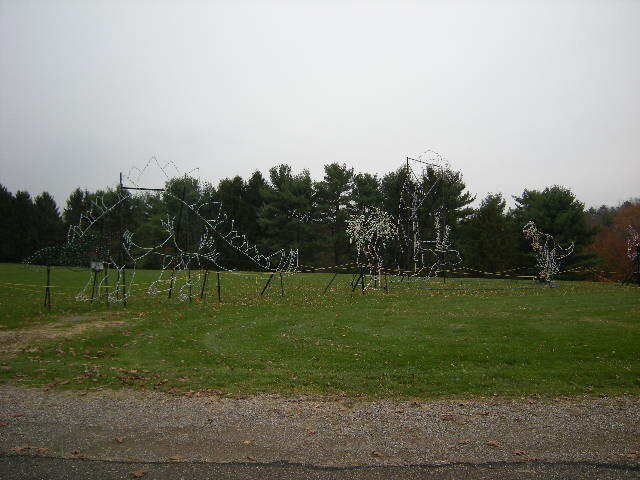 You can barely make it out, but this will be a lighted dinosaur display for the lights in Wheeling. 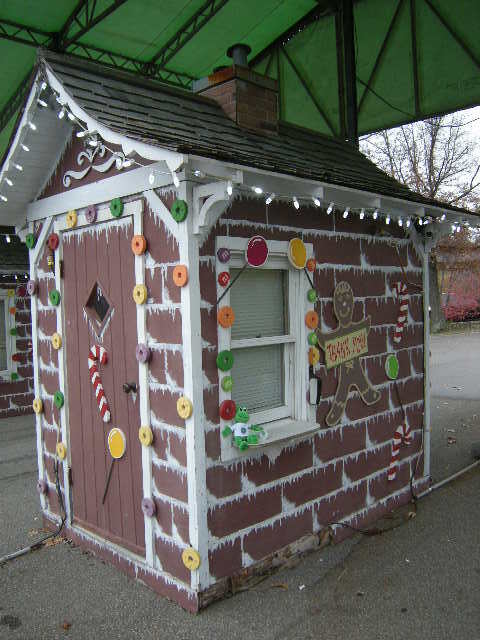 Here I am, waiting patiently for the ticket booth to open so I can take a tour of the lights! 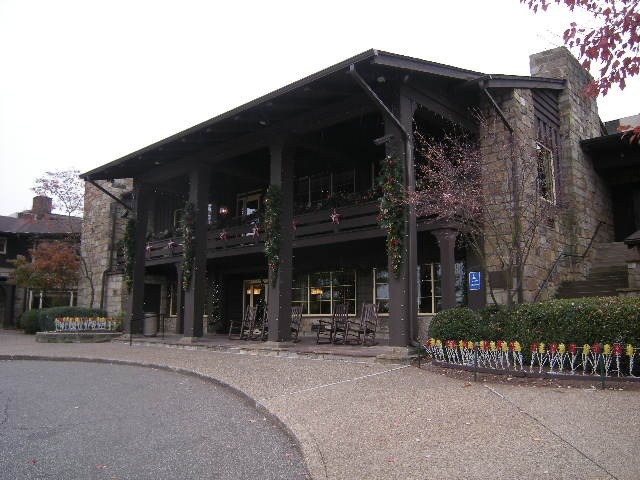 Oglebay Resort started as a summer resort in Wheeling, West Virginia over 100 years ago. 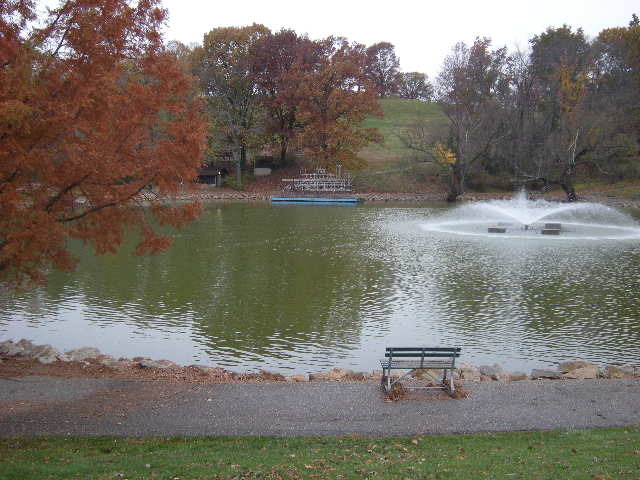 It was owned by Earl W. Oglebay, who donated it to the city of Wheeling in 1926. It’s now a self supporting municipal park which covers 1,650 acres. It started out as being a farmhouse, and now has three championship golf courses, a lodge and conference center, walking trails, the Mansion Museum, an amphitheater, a nature center, a planetarium, a pool, a lake, a greenhouse and more. 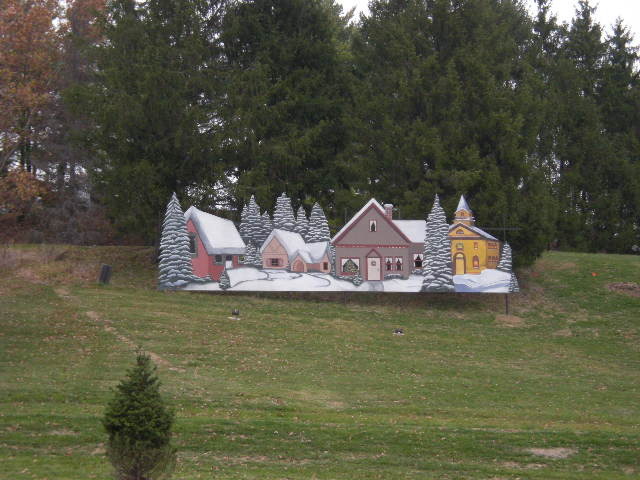 Some of the annual events that take place here are the Winter Festival of Lights, Oglebayfest, the Ohio County Fair, the West Virginia Open (tennis), and Springfest. What a nice play to go for a vacation! This is the outside of Wilson Lodge which is where we stayed while we were in Wheeling. This is the pretty lake that was just down the hill from Wilson Lodge. 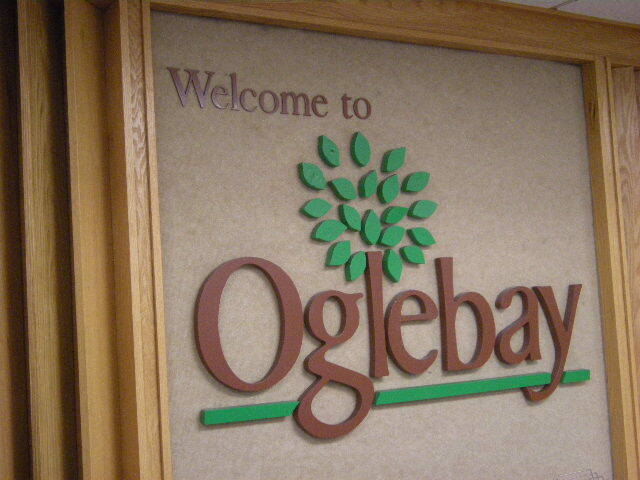 The Oglebay resort sounds very nice. How long did you stay there? The Oglebay resort is a very nice place to stay, and was especially nice when I was there because it was decorated for Christmas and was very homey and cozy. hi I love the pics!